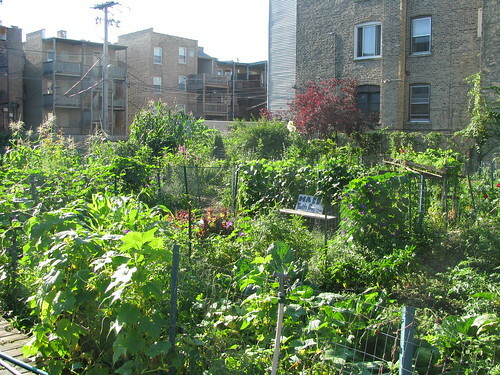 The 12,000-sq.-ft. lot on Juneway Terrace – the northernmost street in Chicago – could easily have become any number of things besides the award-winning Howard Area Community Garden. 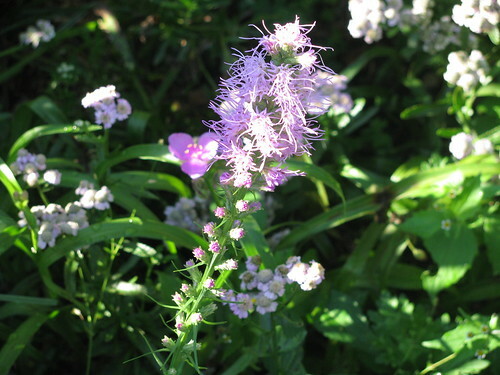 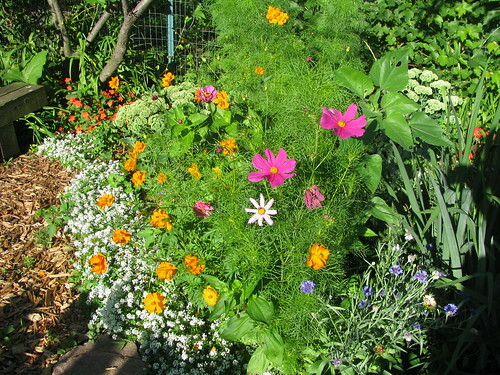 Seeing the garden today it is difficult to imagine anything in its place besides row after row of vegetables – everything from tomatoes and cucumbers to hot peppers and tall stalks of sweet corn – separated by low-lying fences covered in flowering vines and other creeping plants. 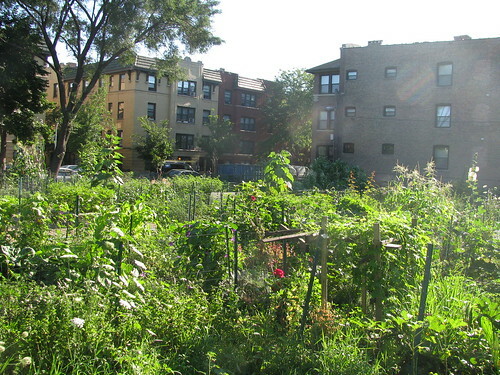 However, this thriving space came very close to being turned into a parking lot for a nearby condominium development. 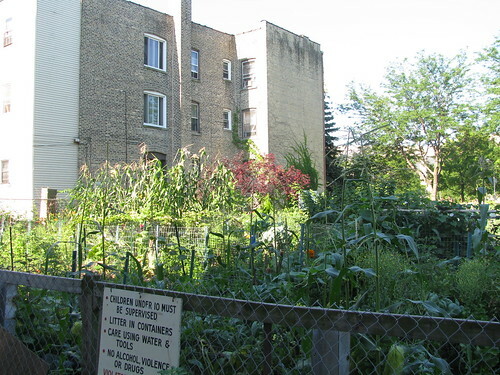 Fortunately, the land had already been purchased by NeighborSpace, and this allowed the community gardeners to keep their plots and preserve green space valuable to this densely populated area.